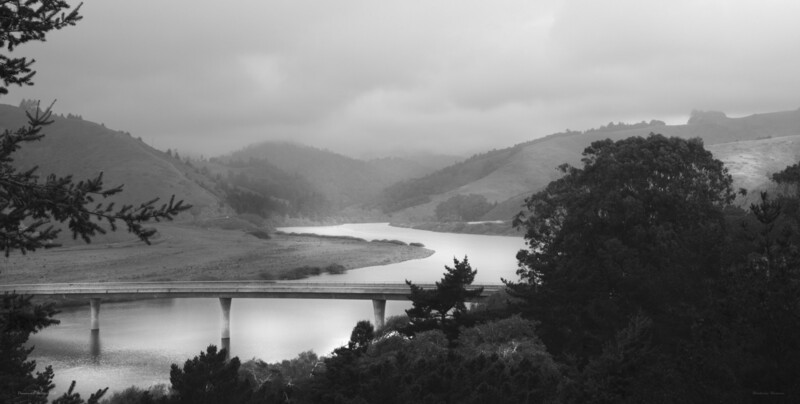 In 2014 I began the project of photographing the Russian River for Hotel Healdsburg. 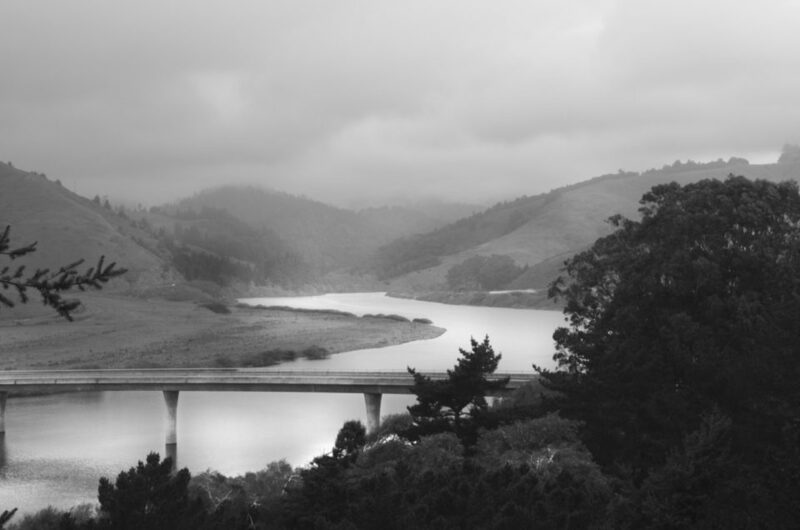 The initial project included photographing sections of the River from its mouth in Jenner, through Forestville, Guerneville, Healdsburg and as far North as Asti. The prospect of documenting the Russian River was of great interest to me. It was the Russian River that brought myself, a commercial and landscape photographer and my husband, a river runner and boat builder, to Healdsburg 18 years ago. Over the years, we both have worked with the Russian Riverkeeper in different capacities, contributing to the preservation, health and ecological awareness of the Russian. The River is at the center of our professional, recreational and environmental lives; the heart of where we live. In the midst of an unprecedented drought, the River had changed considerably. I wondered privately if it wouldn’t be better to wait on the project; perhaps another year would bring River levels back. As I photographed the different sections, I realized the River was sparkling and beautiful, albeit changed. I began the process of rediscovering its twists and turns and river banks throughout Sonoma County. The idea of creating a panoramic image of the river was Pam Sher’s. She knew in her mind’s eye what she wanted to convey, and together we explored the possibilities and parameters of a very large print of the River. Over the years, I have been down the eight mile stretch between the Memorial Beach put in and the Wohler Bridge take out many times. This summer, low water levels revealed many new islands and exposed riverbanks. Dry Creek comes in after two miles of the put in, with its sparkling, clear flow and a marked decrease in temperature. In mid-July of 2015, I made 350 photographs of this stretch of river. I began the process of selecting images from this group that could become a piece of seamless art. Pam and I measured the wall space in the Hotel where the piece would hang and decided a 15- foot finished piece would work best. Hammerfriar Gallery and Framing informed me that 15 feet in length is the absolute limit for a framed piece and it could be done. After several weeks of proofs and prototypes of the print, a final image was selected. Inquiries into shipping Plexiglas, oversized matting challenges and building a frame 15 feet in length on the part of Hammerfriar were researched. Finally, after all suppliers were lined up, we were ready to go to press with the print at Skylark Images, the premier fine art printer in Sebastopol. Multiple black & white versions were made and a ‘final’ was selected from the test prints. Then the process of framing began: The contemporary frame is gilded with white gold and painted umber sides. The acrylic had to be specially shipped in from Texas and is the largest that can be acquired for framing purposes. It was necessary to use an 8ply mat, which is thicker than a normal 4ply mat, since the photo is so large. Nothing is available in this length so Hammerfriar had to splice 4 sheets of oversize boards together and create one. The procedure ended up being a family affair with the help of Julian and Steve Plamann; son and husband of owner, Jill Plamann. Now, a year after beginning the project of photographing our Russian River at the lowest level in history, the rains are returning to Sonoma County. I watch the River rise up the banks and flow with a vibrant energy not seen for several years; I am grateful for the opportunity and timing of this project, to work with Pam Sher and follow her vision for it and to have museum-quality vendors– Hammerfriar Gallery and Skylark Images– who made each part of the process possible.